From the world-famous Kripalu Center for Yoga and Health in Lenox, Massachusetts, come more than 300 delicious and healthful recipes for every meal, every course, and any occasion. 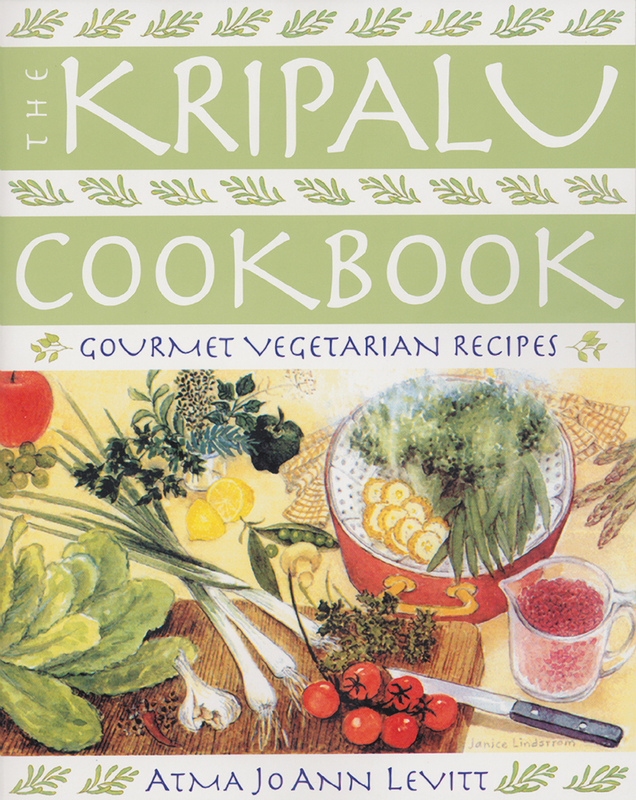 The Kripalu Cookbook is essential reading for those seeking to widen the range of their culinary accomplishments and become better acquainted with the rewards of a vegetarian diet and the Kripalu principles of imparting love to the preparation of food. Every recipe has been adapted for home use. This cookbook also includes special sections on Indian cookery, ideas for planning large parties for family and friends, a list of foods and equipment for a well-stocked vegetarian kitchen, and a chapter of nutritious and tasty kid-pleasing recipes. Atma Jo Ann Levitt, M.A., R.N., is a writer, counselor, and lecturer, and pioneered many of the programs of the Kripalu Center for Yoga and Health. She is the coauthor of Kripalu Kitchen and The Kripalu Cookbook and lives in Housatonic, Massachusetts.